How Long Do You Pay Mortgage Insurance on an FHA Loan? The Federal Housing Administration allows mortgages for borrowers with modest incomes and credit challenges, making it easier for them to get a home loan. In exchange for helping riskier borrowers get financed to buy a home or when helping them to refinance, the FHA requires them to pay mortgage insurance for a minimum amount of time. A common misnomer, "PMI insurance" refers to mortgage insurance for conventional, non-FHA mortgages. The accurate term for mortgage insurance on an FHA loan is "MIP," which stands for "mortgage insurance premium." FHA mortgage insurance protects the lenders that fund FHA loans from losses if borrowers default. Due to the often costly sum that MIP adds to borrowers' monthly payments, many with FHA loans seek to cancel mortgage insurance as soon as possible. Depending on when you received your FHA loan, you may have to pay it for as few as five years or keep it for the life of the loan. 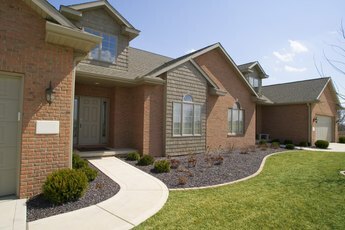 There are two types of mortgage insurance required by the FHA. Borrowers pay an upfront mortgage insurance premium at closing known as the UFMIP. The UFMIP is a one-time payment made to the FHA and is typically added to the loan amount so that borrowers don't have to pay for it out of pocket at closing. The second type of FHA mortgage insurance is recurring, so it adds to the cost of your monthly mortgage payment. It is called the annual mortgage insurance premium, or MIP. The MIP is referred to as "annual," but it is actually divided into 12 payments and is paid monthly whenever you remit mortgage payments to the lender or loan-servicing company that handles your FHA loan. The Department of Housing and Urban Development, which oversees the FHA, makes changes to the agency's insurance policies from time to time. The updates help the FHA to remain solvent and can change based on housing and mortgage market conditions as well as the state of the FHA's reserves. In 2013, HUD revised the MIP cancellation policy, making it more difficult for borrowers to get out of paying MIP. The 2013 policy changes extended the minimum amount of time a borrower needed to pay MIP before it could automatically be cancelled. HUD regulations traditionally have allowed for the automatic cancellation of mortgage insurance for all types of loans, not just FHA loans. A borrower normally needs to pay down the loan to 78 percent of the home value to automatically have mortgage insurance cancelled. Most borrowers who take out FHA loans do so because of the low down payment requirement of 3.5 percent. In general, the FHA allows a lower down payment requirement than can be found through conventional, nongovernment-backed lending channels. The 2013 updates to the MIP cancellation policy prevented borrowers who put less than 10 percent down on a home or who refinanced with less than 10 percent equity from removing the MIP once certain conditions had been met. The previous circumstances under which a borrower could stop paying MIP were if the payments had been paid for at least five years on a 30-year mortgage, and the mortgage's loan-to-value had reached 78 percent. That is, the borrower would have had to pay down the FHA loan amount to 78 percent of the original balance and have held the loan for at least five years. Not only was it possible to stop paying MIP once these conditions were met, but also the cancellation was automatic. Currently, the 2003 policy changes are still in effect for MIP cancellation. 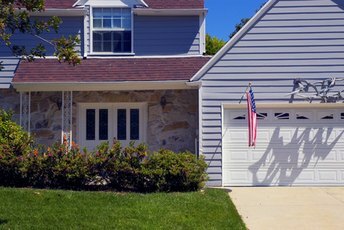 FHA loans are divided into two categories as a result of the 2003 changes: loans with case numbers issued before June 3, 2013 and applications dated after that. Borrowers with FHA loans dated after this date can't cancel the annual mortgage insurance premium. MIP cancellation is simply not permitted in most cases, according to HUD. To be exact, FHA loans closed after December 31, 2000 and before June 3, 2013 are exempt from the revised cancellation policy. They are "grandfathered" under the old policy. Although some homeowners with older FHA loans can simply let their mortgage insurance fall off automatically, you may need to refinance to get out of paying the MIP. That's because the MIP is permanent on most FHA loans made on or after June 3, 2013 since most FHA loans are made with less than a 10 percent down payment or 10 percent equity. FHA mortgage insurance can only be terminated by the lender on these newer loans if the mortgage is paid in full. If you received an FHA loan after June 3, 2013, you would have needed to make at least a 10 percent down payment or have at least 10 percent equity at the time of a refinance in order to qualify for early cancellation of the MIP. In such cases, you can initiate cancellation with your lender at the 11-year mark. This is opposed to the previous five-year mark held by the FHA and is regardless of the mortgage's loan-to-value at the time of origination as long as it was less than 90 percent LTV. In some cases, borrowers could call their lenders and request a cancellation of the MIP if their home's value had increased sufficiently to reach the 78 percent LTV threshold or if they prepaid their loan balance to reach 78 percent LTV. Lenders were even open to cancelling MIP before the 78 percent LTV had been reached, such as at 80 percent. HUD gave lenders discretion on cancelling the MIP before the 78 percent LTV was reached, but HUD regulations required that lenders automatically remove the MIP once that threshold had been reached. 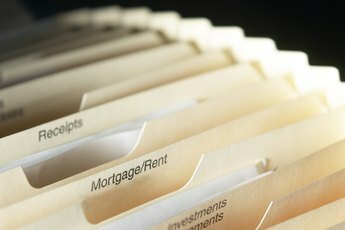 HUD continues to give individual lenders the freedom to dictate how and when a borrower can cancel the MIP, but in general, lenders are more strict than the FHA when it comes to cancelling MIP, and they don't typically bend the rules for borrowers who want to cancel early without meeting cancellation guidelines. HUD requires FHA borrowers to contact their lenders directly to obtain cancellation policy information. In general, you can expect the lender to hold you to minimum standards before agreeing to cancel your MIP if you're eligible. The lender may require that all of your payments be made on time for a certain length of time. It may also require that you have no secondary liens or loans, such as a home equity line of credit or second mortgage. The lender may also want to verify that your home hasn't dropped in value, which can be confirmed through a borrower-paid home appraisal or broker price opinion. Home appraisals are formal reports made by property appraisers that provide the lender with an estimated value of your home based on comparable properties that have sold in your area. In contrast, a broker price opinion is an abbreviated version of a home appraisal that may be done by a qualified real estate agent. A BPO, as it is called, also provides the lender with an opinion of value based on comparable and recent sales in your area. HSH.com:How Do I Cancel My Mortgage Insurance? Karina C. Hernandez is a real estate agent in San Diego with a background in mortgage origination. She has been licensed since 2004 and received a B.A. in English from UCLA. Karina has written on a variety of financial topics, including credit, real estate finance, insurance and taxes for online channels such as eHow, sfGate, the nest, Quicken, TurboTax, RE/Max, Zacks and Opposing Views. Is It Good to Refinance an FHA Mortgage Loan? Can a Co-Borrower on a Mortgage Loan Assume the Loan as Her Own? Do You Have to Pay PMI on an FHA Loan? When Can Mortgage Insurance Be Dropped? How Does a Home Equity Loan Effect PMI? Do All Banks Offer Mortgage Insurance on Their Home Mortgages? Can I Refinance to Drop FHA Mortgage Insurance? 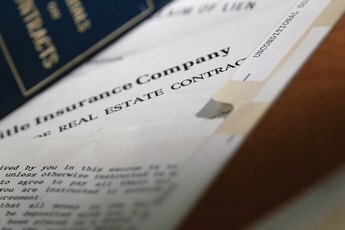 Does PMI Come Out of Escrow? Can the Mortgage Company Waive the Insurance Requirement? Which Is Better: An FHA or Conventional Mortgage? Can Mortgage Insurance Premiums Be Rolled Into a Loan? Can I Waive My FHA MIP?